Does the image of an armored truck, outfitted with 360-degree surveillance cameras and secured by body-camera-toting security guards, parked on the lot of a bar in downtown St. Louis, fill you with civic pride? If so, welcome to militarized St. Louis. This is the city that sported a tank in its Gay Pride parade. 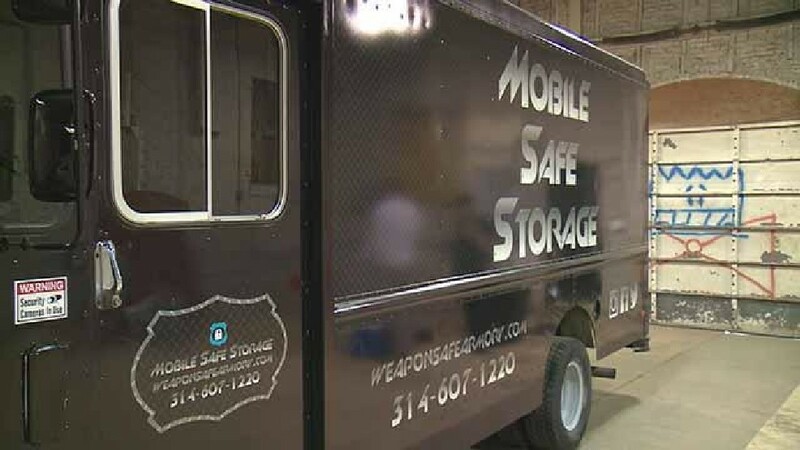 Now we are being asked to host a “gun truck” — an idea that was hatched by a former St. Louis County police chief, who apparently equates public safety with armed citizenry. Despite repeated pleas from St. Louis Police Chief Sam Dotson not to bring guns downtown, apparently some suburb-dwellers are either so afraid of the city, or so attached to their firearms, or both, that they are unwilling to attend a baseball game without packing heat. Thus, the gun truck idea was born. For just $10 (or $15, if you pay by credit card), the truck will baby-sit your Beretta while you enjoy a few beers at the ballpark. There are so many disturbing things about this idea that it’s hard to know where to start. First, the idea that you need to be armed at all times is just another attempt to make it seem normal to carry a weapon wherever you go. We can thank the National Rifle Association and the gun industry for this; as our national fear and paranoia increase, so do their profits. Sound public policy and good business decisions are seldom made as a result of a few isolated incidents. What does happen after these incidents are efforts to make us all afraid. The result is something as ludicrous as a gun truck. Never underestimate the ability of fear to make us do stupid things. Never doubt the greed of some entrepreneurs to make money off our fears. Maybe we should start to mind our mothers.